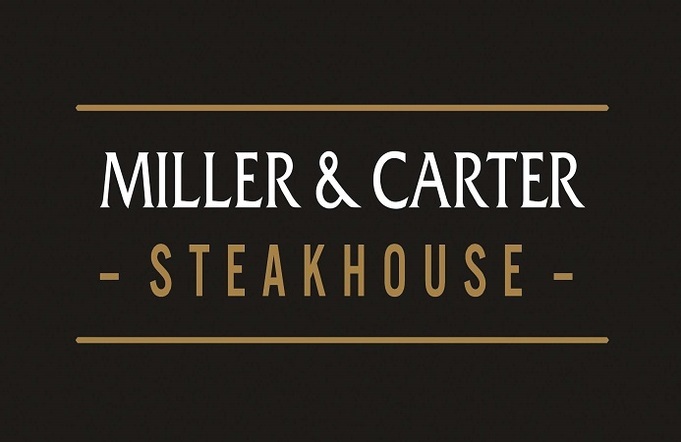 I've always heard great things about Miller and Carter restaurants, but I wasn't 100% sold. Back in November my boyfriend and I chose to dine at Miller and Carter in Leeds city centre as a celebration for our fourth anniversary together. The service we received was absolutely awful and it really put us off. It's such a shame because we couldn't fault the food but the service was something else. Our waitress was extremely rude and the wait for our orders to be taken and served was unnecessary as there were plenty of staff. I'm never normally one to complain but the waitress was so rude and the meal was expensive so we decided we wanted to say something. The guy I spoke to on the phone was lovely and very apologetic and gave us a voucher to use at a Miller and Carter of our choice in the future. Yesterday we decided to try out the same restaurant again, but this time dine at lunchtime. I can honestly say that this time I really understood why people love it so much. The service from our waiter was amazing and the lunch menu is SO affordable (you can get 2 courses from a set menu for £10.95 each) so I am so glad we tried it out again. 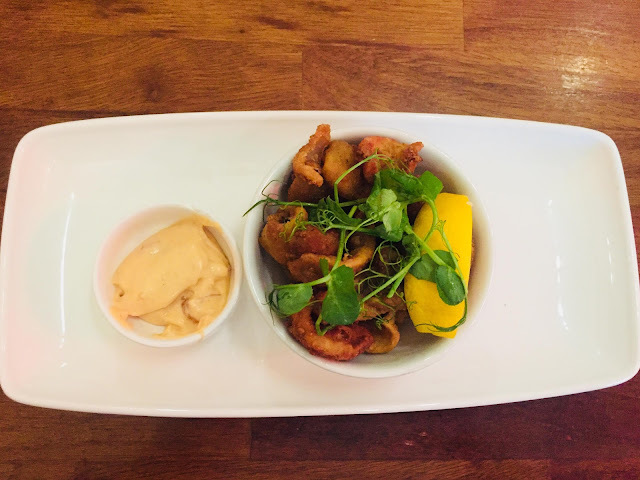 I want to share with you my full experience of our second visit to Miller and Carter. Miller and Carter Leeds is located at the Light; an entertainment complex, which is situated on the headrow just a short walk from the main shopping strip. This time round I couldn't fault the service. Our waiter was extremely helpful and the service itself was quick considering it was fairly busy. We were able to choose where to sit, so we chose a booth as it's always nice to have a bit more room, and then we were given just enough time to make our picks before our waiter was back to take our order. The lunch time set menu is really great; you can choose to have two courses for £10.95 or three for £13.95. There were three starters to choose from; Calamari, Sticky chilli chicken wings or Baked cheddar mushrooms. Both Jay and I opted for our favourite Calamari; which tasted delicious. The starter was a great size too as it didn't fill us up too much before our main. For the main meal, there was lots to choose from; from steaks to burgers to fish or salads. Jay chose the Prime steak burger and added bacon and cheese to it. He said it was cooked perfectly and tasted great but he was definitely envious of the chicken schnitzel that was sent to the table behind us!! That's one for him to try next time hey!? 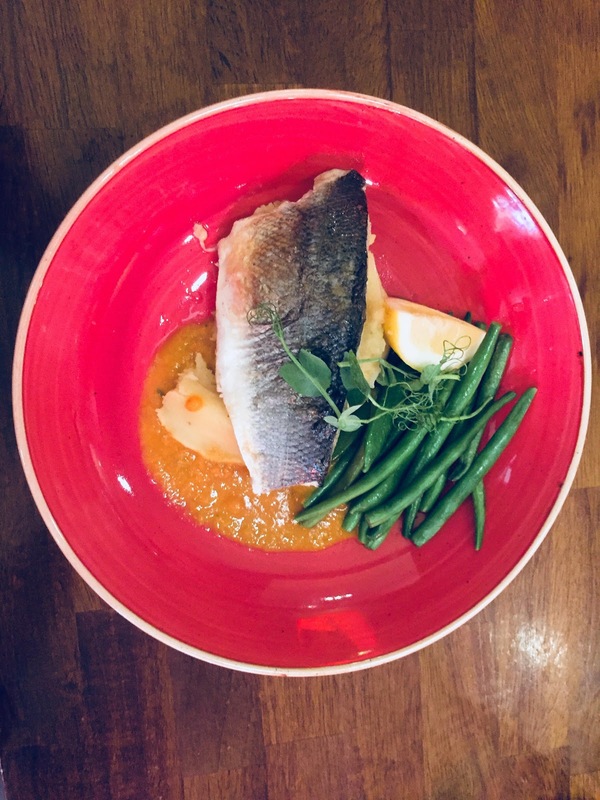 I am trying to eat as healthy as possible so I chose to have the Seabass which came with mash potato, green beans and a tomato salsa. It was SO delicious. I didn't expect it to be so nice but I honestly really enjoyed it and would definitely choose that again. Overall I would rate the experience at Miller and Carter Leeds as a 7/10. The food was more of a 9/10 but due to a poor experience the first time it doesn't get a higher mark from me. I would definitely recommend trying out the lunch menu from Miller and Carter! Let me know if you've visited before and what your thoughts are. Was it just a bad waitress that unfortunately ruined our first visit?